Plaxo and Facebook: Time to Sing Kumbaya? Can it be? Is it time to hold hands and sing songs of unity and closeness? Google is reported to be ready to join the open social web movement. Rumors are swirling that Facebook may about to make a move in that direction, too. 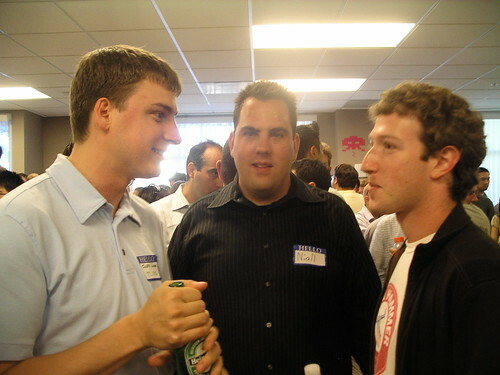 Mark Zuckerberg has friended Plaxo’s Joseph Smarr, co-author of the Bill of Rights for Users of the Social Web. And now Plaxo, today, added Facebook to its lineup of feeds in Pulse, alongside MySpace, Flickr, Twitter, Yelp, Pownce, Jaiku, and 20 other user generated content sites! It is encouraging although I am become less and less interested in Facebook as the central focus of my social networking activities on the Web. My growing preference is for a service that acts as a kind of meta social network and let’s me incorporate my existing services without silly limitations and restrictions.